Having pledged to pursue carbon-neutral growth from 2020 onwards at last year’s ICAO Assembly, airlines are committed to reducing the environmental cost of flying even as they gear up for decades of continued growth in air transport. 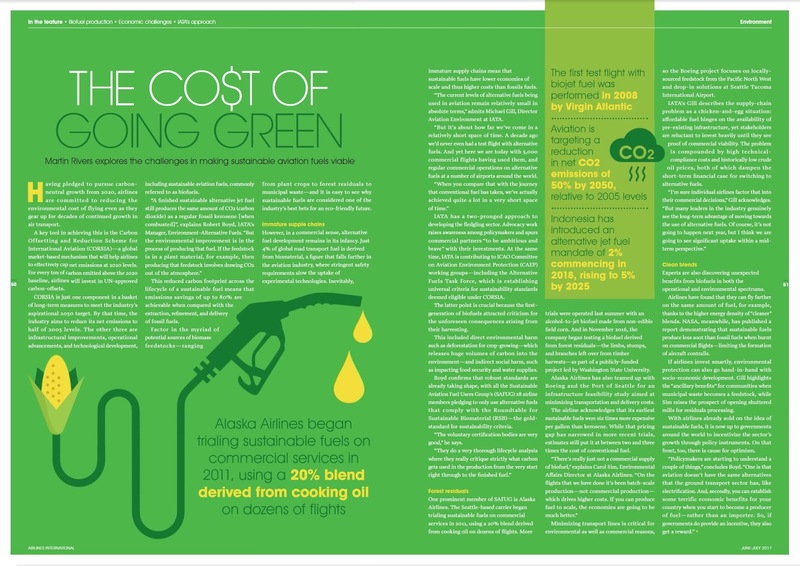 Initially, this will be achieved through the Carbon Offsetting and Reduction Scheme for International Aviation (CORSIA) – a market-based mechanism that plugs the gap between the industry’s targeted emissions and its actual output. For every year that airlines exceed their emissions quotas, they have agreed to invest in UN-approved carbon-reduction schemes that mitigate the resultant environmental damage.